At Fort Collins Copier we pride ourselves on selling the best products possible. We think our success comes from you being happy and your business thriving because of our products. The only way we can be sure that you are going to be happy is to sell you high quality office machines. When we sell Xerox, we never have a worry about quality. When you hear Xerox you immediately picture a busy office place. That’s because Xerox has been around for decades. In the time they have continuously innovated the office environment and standardized much of the office technology you are familiar with today. They are the industry standard when it comes to great printers and copiers. We are proud to sell Xerox because they share our enthusiasm for great customer service and quality products. At Fort Collins Copier we are always ready to help you out if your copier needs work. Xerox shares our values in this matter. That’s why when you get a Xerox brand machine you also get the Xerox Total Satisfaction Guarantee. With the Xerox Total Satisfaction Guarantee you can be sure that you will have the support you need if something goes wrong. You won’t get that level of support with just any company. 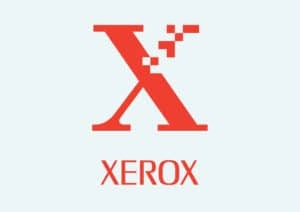 If your machine is not working the way it should then Xerox will repair or replace it for free. Come in to Fort Collins copier today to get a great Xerox brand machine today. We are proud to work with our friends at Xerox, and we think you will be happy with the machine you get.